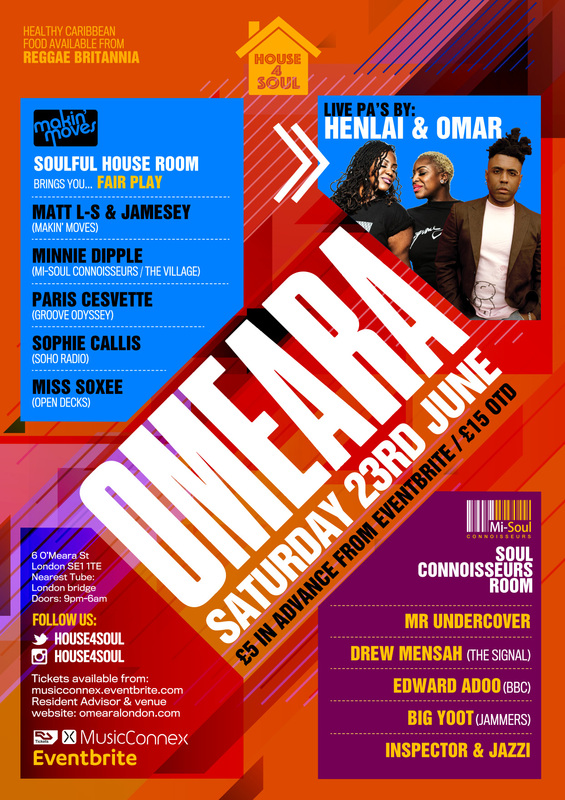 The summer party season is in full swing as we head back to the awesome Omeara in London Bridge for our monthly House 4 Soul session across two rooms on Saturday 23rd June. This month in the house room we’ve got a ladies take over special ‘Fair Play’! We’re very lucky to have so many fantastic female djs in the UK and for some time we’ve wanted to get some of them together for one night only. The line up features Minnie Dipple from the Village and Reelhouse Radio alongside Sophie Callis from Worldwide FM (both used to run Yo! My Size) event together. Also on the bill is Paris Cesvette who is on fire right now, both on the dj and production front. Her new album Celestrial on Groove Odyssey Records is doing great things with collabartions with the likes of Omar, Will Downing and Josh Milan. Bringing up the rear is Miss Soxee who runs Open Decks a fab Sunday vinyl throw down session at the Vortex. This month in the Soul Connoisseurs room we have resident Mr Undercover and Big Foot joined by the returning Edward Addo from BB London and Inspector and Jazzi. Two rooms of music Soulful & Deep House with Makin Moves plus Soul Connoisseurs with Mi-Soul Connoisseurs. Don’t forget we healthy Caribbean food available from Reggae Britannia in the yard all night! 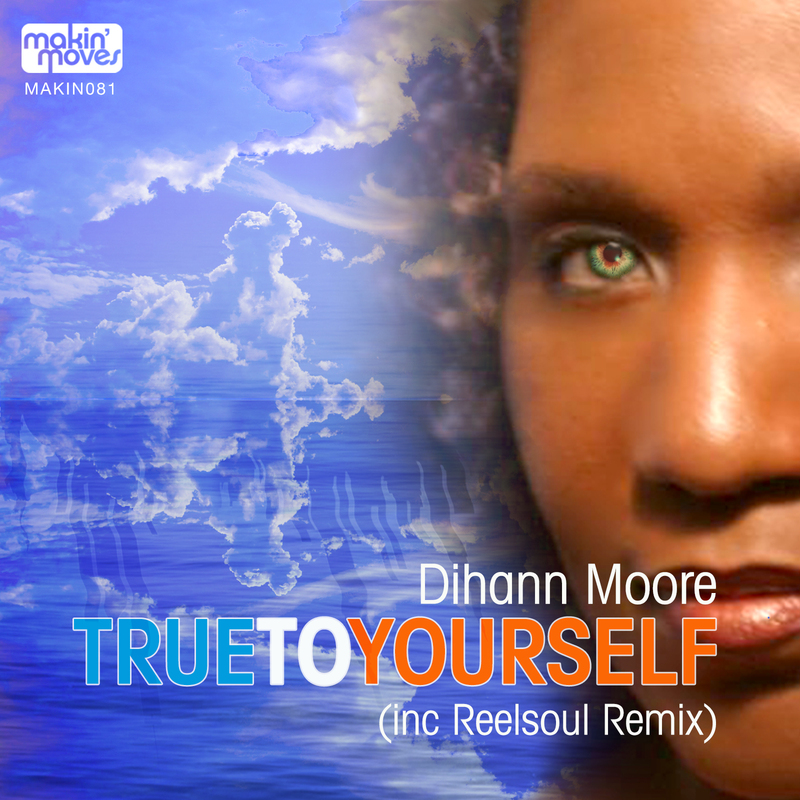 Makin’ Moves presents Dihann Moore’s classic vocal ‘True To Yourself’. Originally released on Slaag Records from NYC. Bringing this one back with the remastering of Big Moses Original mix with lush strings and signature key playing and deep bassline. Also fresh Remixes courtesy from main man Will ‘Reelsoul’ Rodriguez. Laying down a peaktime dance floor mix and dub. Not forgetting Ron Carroll’s uplifting ‘Progressive’ mix which has also been fully remastered!